Next on The Scoop: Ask a Vet: How Much Should I Feed My Cat? The senior pest controller at Huddersfield station in England has many followers -- and a book deal. Trains are a great way to travel. Zipping along while gazing contemplatively out of a window as scenic sights roll by beats sitting in bumper-to-bumper traffic or being cooped up with pesky strangers of dubious personal habits on a plane. But you know what would make trains even better? 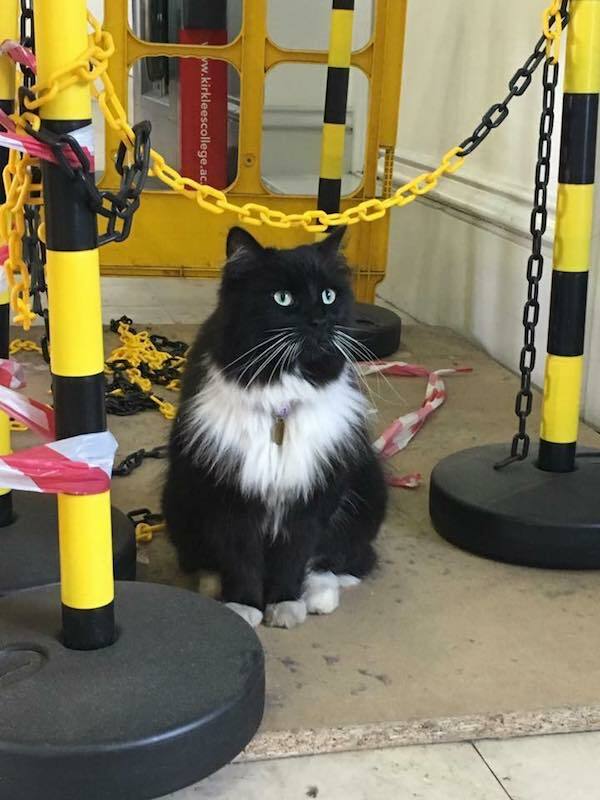 Having cats work at the station. 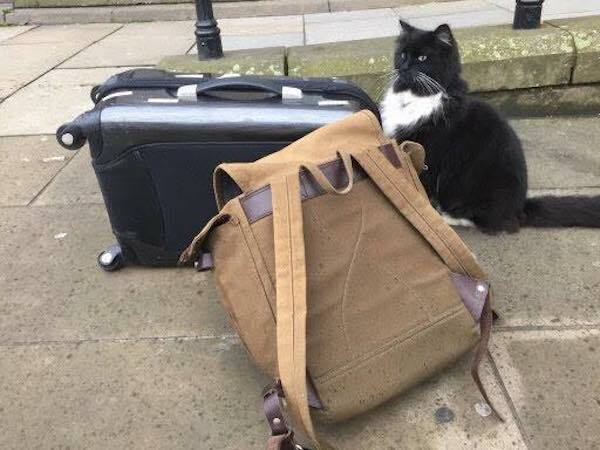 That’s exactly the situation in the north of England, where Felix has come to be part of the Huddersfield railway station staff. 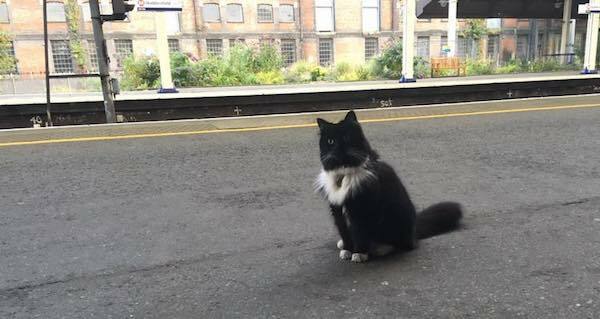 Once the kitten had shown up, the staff at the train station assumed the plucky feline was a boy and named him Felix. 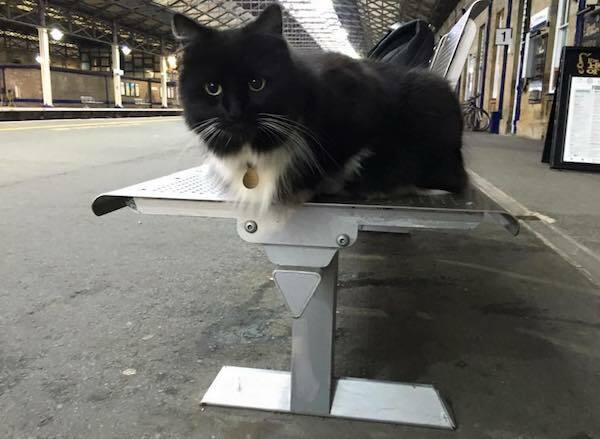 Despite a vet pointing out the error and confirming that the kitten was female, the name Felix stuck, and this little wonder of a station master has been running with it ever since. 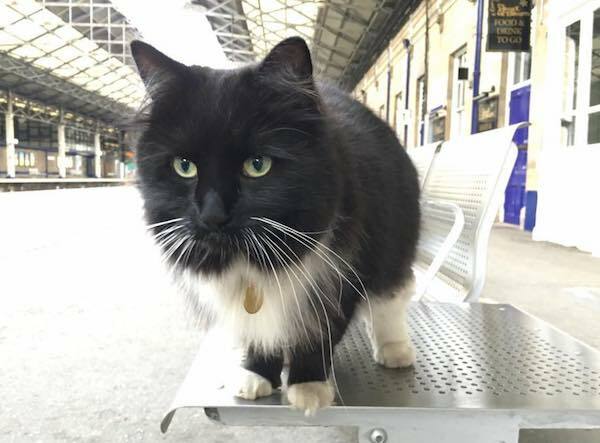 Formally, Felix holds down the esteemed title of senior pest controller for the TransPennie Express company. It’s also said that Felix is something of a part-time station philosopher who can be found pondering the tricky existential locomotive dilemmas that have perplexed and haunted us all for decades. 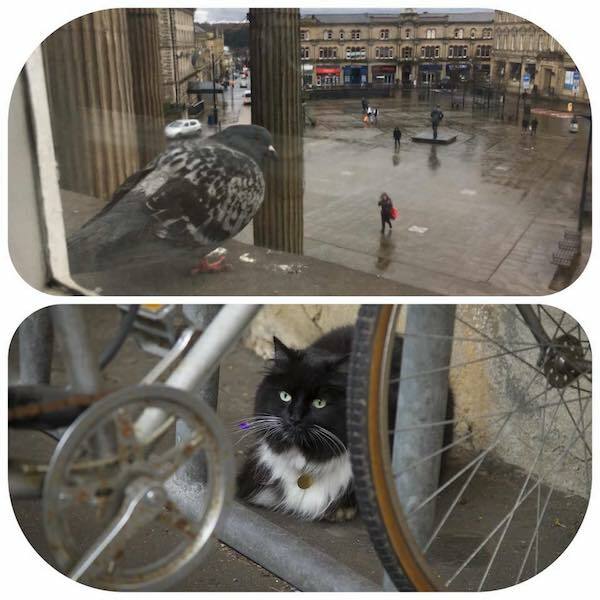 Oh, and when she’s not busying her cat brain with station philosophy, you can find Felix supporting her local soccer team, Huddersfield Town AFC. 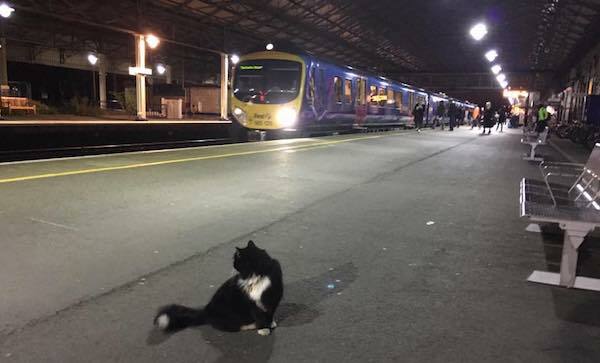 While it’s obviously amusing to see a cat strutting around a railway station like she owns the place, there’s also a serious nature to Felix’s role. Along with posing for selfies with stressed out commuters, she has also helped bring an autistic boy out of his shy shell and has even provided companionship and comfort to another kid who ran away and hid out on the station platform one night. Nice job, Felix. Wondering what a distinguished lady like Felix gets up to when she’s not tending to her important train station duties? Well, according to the official record, she can be found indulging in the classic disciplines of eating, sleeping, cuddling, scratching and embarking on the occasional foray into the honorable sport of pigeon chasing. Since word caught on about Felix’s position as senior pest controller, people have been busily signing up to follow her story via Facebook. Now Felix has turned her fame into a book deal, with Felix The Railway Cat having been published last month. Check out more of Felix at her Facebook page.